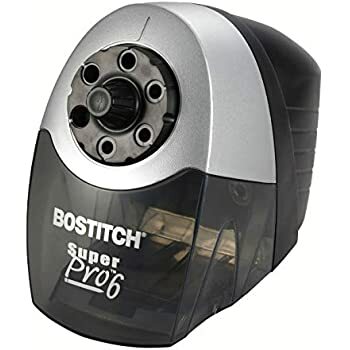 Ships from and sold by Office Depot, Inc..
this could have been a good machine, although it will only really adequately sharpen American-made softwood pencils. 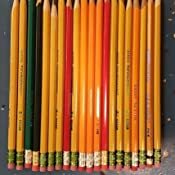 Asian pencils, made in china, Indonesia, Vietnam, are made of a harder wood. The steel in the blades is not adequate to sharpen the harder wood as quickly, nor will the blade last as long as it would with normal softwood use. Steel comes in many grades and hardness, and good product engineers will specify a blend of steel that is just over what is required for the job. Then the bean counters come in and specify what profit to return to the investors, and the engineers recommendations are thrown out, which creates an inferior product. 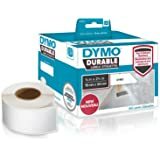 I don't believe that the extra cost to make an adequate sharpening blade would have significantly cut down profit, nor do I believe that customers would not readily pay the few extra bucks to make it worth their while. oh well. 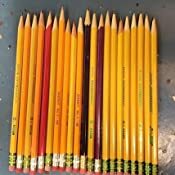 I sharpened 41 pencils. 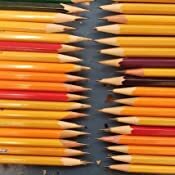 Of those pencils, literally half were sharpened unevenly. I ruined a few pencils breaking the edge to make it sharpen again but evenly, and it didn't. It was loud. 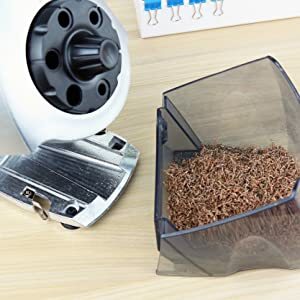 It took forever to sharpen pencils. Even when they were sharp, it didn't auto-shut off or whatever "prevents over-sharpening" means. Now I have a $45 piece of equipment I can't use and can't let my students use and I have no use for. I teach first grade. 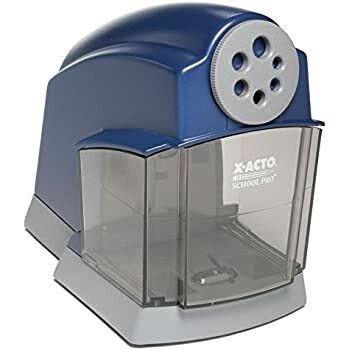 My students eat those blue Xacto pencil sharpeners for breakfast. 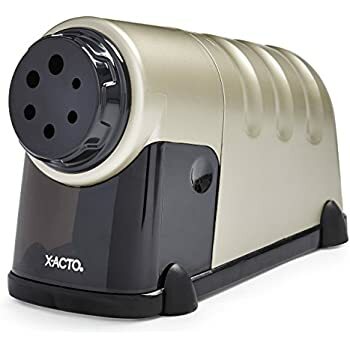 I got a pencil sharpener that lasted me over a year with perfect pencils every time until one of my students tried to sharpen the metal part of a pencil. So I decided to get a more intense one, spend more that $20. I was so excited and I'm so disappointed. 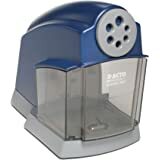 I have had this sharpener in my classroom for the past two years. 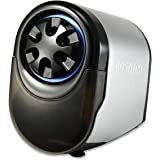 I have tried many other brands of sharpeners and models of this brand as well. This one lasted the longest. 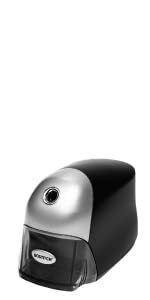 The students are super rough on electric sharpeners! Sadly, it recently quit working. When I inserted the pencil, the sharpener made noise, but did not sharpen. The machine was still under warranty. I mailed my receipt and the warranty form to the company and they sent me a new one!! I didn't have to return the machine. Definitely worth the $50 I paid to get 2+ years of use. 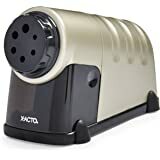 I work at an inner city school where all the teachers have to purchase their own sharpeners, so I have seen and experienced many different makes and model. I decided on this one because it was supposed to be very heavy duty with duel blades instead of the typical single blade, but at a very affordable price. 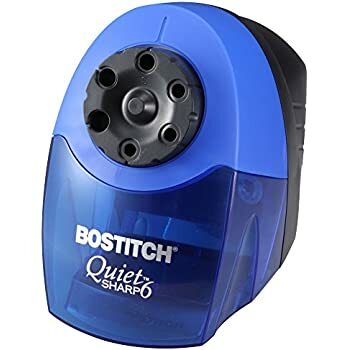 When I first tried it at home it was the quietest, fastest, and smoothest pencil sharpener I had ever used period. 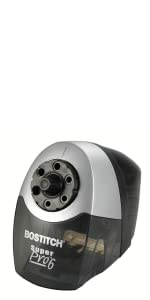 From brand new to sharpened in about three seconds with a perfectly smooth and centered point. It has been working great in a high school math room for a few weeks now. It is so much quieter and faster than the one it replaced that I hardly notice students using it. Of course life cycle will be the ultimate deciding factor. Going on 5 months now and still holding up very well. I came back from a sick day and it wasn't as quiet as before. 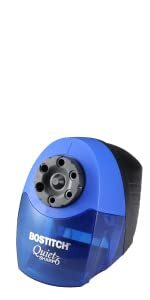 There is a slight rough sound to the rotating blades that I'm guessing came from a student putting a pencil in backwards. 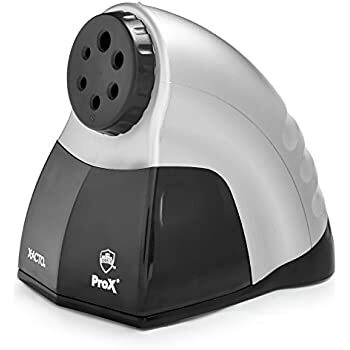 But it still sharpens quickly and quieter than the other models I've had in the past and it's doing much better for the time it's been in use. Just a note for those reviews where people use colored pencils. Colored lead is sticky and will slowly build up on the blades. 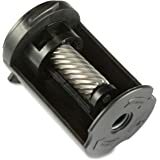 This not only dulls the blades but if there is enough build up it will stop working. You need to chip the gunk out occasionally, so I use an old sharpener for the occasional colored pencil rather than risking the 7 year manufacture limited (aren't they always limited) warranty on this one. 5.0 out of 5 starsWorked great, while it worked. I purchased this item through Amazon Warehouse as a refurbished item. I am have a "thing" for a good, sharp pencil, and will refuse to write on a dull point. 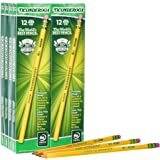 I also have a strong preference for the Ticonderoga children's pencil that is twice as thick as any regular pencil. 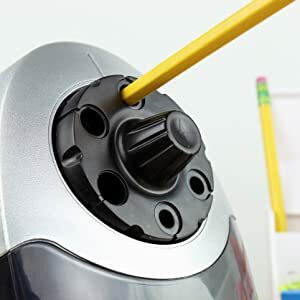 Needless to say, there are a few pencil sharpeners that can handle those pencils. The item arrived quickly and it is HUGE and really loud. However, it made the most beautifully sharpened point I have ever seen. The cut was well centered and I did not have an overly large cut on the wood. Sadly, the unit stopped working about two weeks later and I sent it back for a refund. 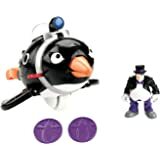 Personally, I will re-purchase the item, but this time, I will purchase a new unit. 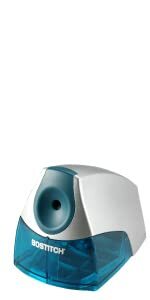 This sharpener is much bigger than you think it is going to be. But it works quickly and quietly. It costs more than most people would be willing to spend for a pencil sharpener. But ultimately, I'm glad I bought it. 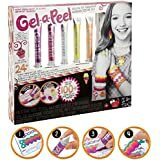 My 7-year old daughter makes constant use of it with no problems at all. 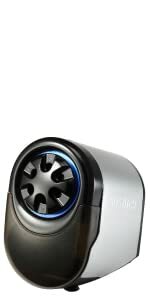 It has a gigantic reservoir for shavings so you're not emptying it all the time. 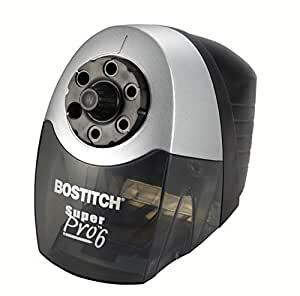 Update: After just 4 months of use, the pencil sharpener stopped working. There is nothing jammed inside. No obvious signs of failure. 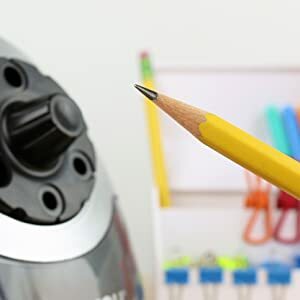 When you put a pencil in it, you can hear the click of the switch but the motor doesn't make a sound. My 7-year old daughter was the main user of this machine so it had a pretty easy life. And it was great when it worked. But now it is just a $90 door stop. 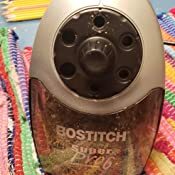 Second update: I contacted Bostitch about my defective sharpener. After I sent them a sales receipt and a warranty claim, they sent me a new sharpener. They didn't even ask to have the old one returned. So it's good to know they stand behind their product.